John Emerich Edward Dalberg-Acton, 1st Baron Acton, KCVO DL (10 January 1834 – 19 June 1902), was an English Catholic historian, politician and writer. He was the only son of Sir Ferdinand Dalberg-Acton, 7th Baronet and a grandson of the Neapolitan admiral and prime minister Sir John Acton, 6th Baronet. Between 1837 and 1869 he was known as Sir John Dalberg-Acton, 8th Baronet. "John Emerich Edward Dalberg-Acton, First Baron Acton of Aldenham, was born in Naples, Italy, on January 10, 1834. ... Acton saw the history of liberty as the unfolding resolution of the tension that exists between moral conscience and corruption. Liberty, he professed, is the only appropriate context for religious virtue, but without religious values as an ultimate orientation and guide, liberty would inevitably disintegrate into license. Acton claimed that 'liberty is not a means to a higher political end. It is itself the highest political end.'" "With extraordinary knowledge of intellectual history and political history, Lord Acton (1834-1902) wrote insightful, inspiring essays about the history of liberty. Standouts include 'Nationality' (1862), 'The History of Freedom in Antiquity' (1877) and 'The History of Freedom in Christianity' (1877). He championed the view that moral standards must be applied to rulers at least as much as, if not more than, they are applied to everybody else. His most famous line occurred in an 1887 letter, 'Power tends to corrupt and absolute power corrupts absolutely.'" "Born in Naples with an English father and Bavarian mother, he embraced a cosmopolitan view of the world. He spoke German with his wife, Italian with his mother-in-law, French with his sister-in-law, English with his children and perhaps another European language with a visitor. He pored through Europe's greatest historical archives, and his three personal libraries exceeded 60,000 books and manuscripts. One can learn a great deal and gain much pleasure from his work." "Historian Lord Acton (1834-1902) issued epic warnings that political power is the most serious threat to liberty. Born in Naples, he was educated in England, Scotland, France and Germany, developing an extraordinary knowledge of European political history. While he never wrote the history of liberty he dreamed about, his essays and letters abound with memorable insights. For instance: 'Liberty is not a means to a higher political end. It is itself the highest political end ... liberty is the only object which benefits all alike, and provokes no sincere opposition ...'"
"Lord Acton (1834-1902) was one of the great historians of the Victorian period and one of the greatest classical liberal historians of all time. His theme was 'the history of liberty' and even though he was never able to complete his magnum opus of that name he did write numerous essays, book reviews, and lectures. He also was the inspiration behind the multi-volume Cambridge Modern History ." "John Emerich Edward Dalberg Acton, more commonly known as Lord Acton, was a prolific scholar, writer statesman, and historian, known as 'the magistrate of history,' as well as the namesake of the Acton Institute. 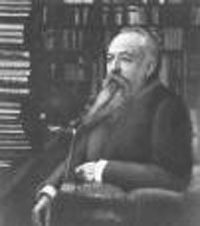 ... 'In their correspondence, Lord Acton and Mary Gladstone frequently discussed what should constitute "the hundred best books." Acton eventually sent her his own list, which, in 1883, she recorded in her diary.'" "'Power tends to corrupt and absolute power corrupts absolutely.' Many Americans can identify the author as Lord Acton. But that is about all they know about John Emerich Edward Dalberg Acton ... That is a pity, because, according to Stephen Tonsor, Professor Emeritus of History at the University of Michigan, Acton was both 'the most knowledgeable foreign observer of American affairs in the nineteenth century,' and deeply concerned about 'the threat to freedom from centralized governmental absolutism, the tyranny of the majority, bureaucratic administration, democracy and socialism,' threats which have hardly been vanquished today." "In 1895, Lord Acton was appointed Regius Professor of Modern History at Cambridge University. From this position, he deepened his view that the historian's search for truth entails the obligation to make moral judgments on history, even when those judgments challenge the historian's own deeply held opinions. Although he never finished his anticipated universal history, Lord Acton planned the Cambridge Modern History and lectured on the French Revolution, Western history since the Renaissance, and the history of freedom from antiquity through the 19th century." "... it seems evident to me from Madison's and Hamilton's papers that the Fathers of the Constitution were not agreed, I saw in State Rights the only availing check upon the absolutism of the sovereign will, and secession filled me with hope, not as the destruction but as the redemption of Democracy. ... I believed that the example of that great Reform would have blessed all the races of mankind by establishing true freedom purged of the native dangers and disorders of Republics. Therefore I deemed that you were fighting the battles of our liberty, our progress, and our civilization ..."
The introductory paragraph uses material from the Wikipedia article "John Dalberg-Acton, 1st Baron Acton" as of 31 Jul 2018, which is released under the Creative Commons Attribution-Share-Alike License 3.0.